Revitalising central Geelong was one of our Partnership’s 2016 priorities and Budget 2017/18 included $11.7 million for this. 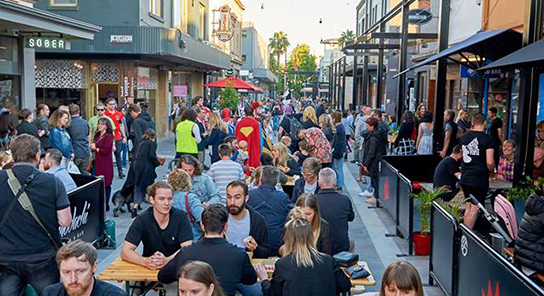 Over the past 18 months, revitalisation infrastructure works in central Geelong have included progress on the first stage of the Malop Street Green Spine, redevelopment of the laneways precinct and the construction of a rain garden at Johnstone Park. Budget 2018/19 included $153.2 million for the Geelong City Deal, which includes funds for the development of the Geelong Convention and Exhibition Centre and further funding for the revitalisation of central Geelong.